All Nanoflex (NFX) pickups impress with their absolutely pure and natural sound, since only Nanoflex pickups pick up both the vibrations of the strings and of the body of the instrument! The sound produced thus resembles a microphone-bridge-saddle-pickup combination. In addition, all Nanoflex pickups are 100% hum-free. 16 clientes deram a este produto a classificação de 5-estrela. Sobre, 16 não foram escritas críticas ou foi deixado o feedback noutra lingua. 13 clientes deram a este produto a classificação de 4-estrela. 4 clientes deram a este produto a classificação de 3-estrela. 2 clientes deram a este produto a classificação de 2-estrela. 2 clientes atribuíram a este artigo uma classificação de uma estrela. I bought this unit to give my handmade classical guitars the ability to go through a P.A. at live gigs. I did not want to modify the guitar in any way but wanted to be able to have a pickup that I could use on any of my guitars. This seemed to fit the bill quite nicely and when it arrived I attached it to my Cedar topped classical. This was quite easy to do as all I had to do was loosen the strings and tuck the thin pickup under the bridge insert. This does raise the action a touch so I will get another bridge piece to get the same action whether or not I have the pickup in or out. Sound wise the unit gives a fairly natural sound that is good enough for most live applications. I wouldn't use it for critical recording as it still doesn't give the same quality of sound in comparison with a good condenser or ribbon mic. But I wouldn't expect it to, that isn't really the point is it? I installed this on my ukulele for a great result. 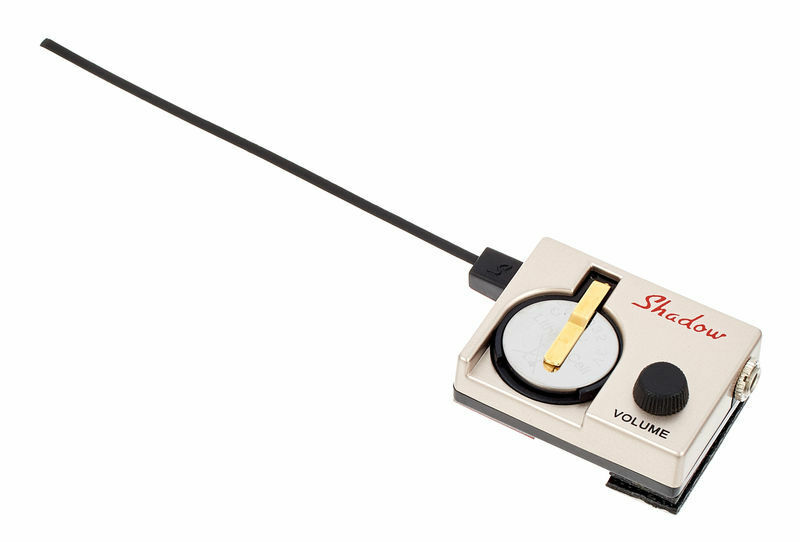 Does not add lot of weight like Ukes with built in mice and amplifiers. It was easy to install. Highly recommended and a good price. 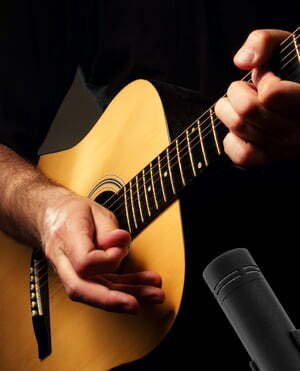 The acoustic guitar is one of the most frequently recorded instruments in the studio, but it is often recorded poorly. ID: 184878 © 1996–2019 Thomann GmbH Thomann loves you, because you rock!